We started Camp Pursuit because we’re passionate about education and we believe that passion can lead to a great many things. Our vision is to give students a curiosity-fueled platform to explore different aspects of STEAM in a fun and thoughtful environment where they have the chance to dive into the many different creative outlets that come along with science, technology, engineering, arts, and mathematics. A choice-based learning environment driven by high-interest themes, rather than arbitrarily designated subject areas, exposes students to key concepts and skills ACROSS the aspects of STEAM. Aside from the benefits learning new skills give children, it also builds the desired skill sets CEO’s are looking for in the long run. When asked, CEO’s said “Approximately 60% of job openings require basic STE[A]M literacy and 42% require advanced STE[A]M knowledge. Nearly two-thirds of job openings that require STE[A]M skills are in manufacturing and other services.” Unless your kids start a business as their first job and entrepreneurship becomes their career, a CEO in their future will look to them to have a knowledge of STEAM. If they end up being super successful as an entrepreneur, they’re going to need to know enough STEAM to keep up with the demand of our culture. It’s not just CEO’s who we look to for answers when it comes to the children we work with and their future. In our research, we found that non-STEM careers have a projection of 9.8% growth whereas STEM careers reach 17% projected growth. In 2010, STEM workers made up 1/18th of the workforce and earned about 26% more than those who didn’t work in STEM. These numbers are rapidly growing and are expected to grow even more in the future. So why is it so important for your kids to attend Camp Pursuit? Your kids are our future. STEAM education teaches them to work with others, have patience, not give up, look outside of the box, and create something new. We want a future where your kids are equipped for growth. STEAM is growing, and your kids are growing in a parallel path. Some children (and adults) seem prone to making quick, impulsive decisions. At the other extreme, some seem to be held hostage by choices, evaluating and reevaluating options long past the point most of us would consider helpful. For adults somewhere between, watching a child “overthink” can trigger frustration. Parents and teachers may worry about a child’s stress, delays, and possibly sleeplessness as a result of runaway thinking. Adults may not know how to provide help. Consider this: in some cases, what if a student’s tendency to “overthink” might be a sign of an unmet need for higher-level analysis? A sign of advanced, untapped problem-solving ability, ready to be channeled and harnessed? Below are a few resources for helping students (or adults) feed a hunger for problem-solving, some of which may help guide deep thinkers toward constructive analysis. Though perceived overthinking is not limited to children with gifted-level cognitive needs, they are sometimes described as exhibiting this behavior, so GT-friendly strategies are included below. Critical thinking can be taught, both at school and in home. Educators continue to develop new and innovative ways to incorporate Bloom’s Taxonomy, critical thinking skills, and other ways to “think about thinking” (metacognition) in the classroom. Simply developing an awareness that humans move through different processes in our thinking – and that to some extent, we can deliberately control those processes – may bring peace of mind to some children who worry about their thinking. Image: Vanderbilt University Center for Teaching. Creative Commons Attribution license. Teachers can create assignments that help develop thinking skills and awareness of the difference between inductive and deductive reasoning, strategies for validating information, methods to compare and contrast, and ways to sequence and prioritize information (Cash, 2011). For more ideas about teaching critical thinking, please see the resources below. The Habits of Mind were developed to help students “appreciate the value of and to develop the propensity for skillful problem solving using a repertoire of mindful strategies applied in a variety of settings” (Costa & Kallik, 2008). In a district in my area, the GT program includes the “Habits of Mind” in the curriculum, providing instruction on deliberate skills to help students overcome or compensate for social-emotional challenges such as perfectionism, masking, and impostor syndrome. Some of these strategies may help all students to develop analytical skills and to make better use of their thinking. The Habits include Thinking Flexibly (“putting on a different kind of thinking cap for the moment”), Applying Past Knowledge to New Situations, Thinking and Communicating with Clarity and Precision, Finding Humor (may help ease stress, if worry is a trigger), and Taking Responsible Risks, among others. The authors of Learning and Leading with Habits of Mind outline ideas for teaching the Habits in the classroom, as well as strategies for creating a “mindful language of learning” that parents can try at home (Costa & Kallik, 2008). Talking with other students who share their challenges, particularly with the guidance of an adult, may help students “self-reflect, reflect about others, learn expressive language, explore careers, self-regulate, make decisions, and progress with developmental tasks” (Peterson, 2016). An affective curriculum is designed to address the well-being of students, and it may help with some of the social and emotional needs that can sometimes lead to perceived overthinking. For ideas on how an affective curriculum can be used in a “lunch bunch” setting for gifted-identified students, check out The Lunch Bunch: Affective Curriculum for Elementary Gifted Students (Johnson, 2017). Teachers: does your curriculum go beyond rote memorization, providing opportunities for cross-curricular analysis? Does it allow students to dive deeper into topics of interest, and/or to explore and compare additional examples of a concept? Do students have choices in assignments and opportunities to respond in ways that tap into their individual strengths? Are pre-testing, curriculum compacting, or other acceleration strategies used for students that already know the material? If the answers are negative, consider pursuing campus or individual professional development on differentiation strategies, including research-proven strategies for modifying the curriculum for gifted learners. For more information on differentiation and curriculum modification, please see the resources below. While perfectionism can cause stress, and can sometimes lead to perceived overthinking or “paralysis,” some experts note that it can also bring “intense satisfaction and creative contribution, depending on how it is channeled” (Schuler, 2002). It has been noted that in gifted students, research shows “a lack of challenge may contribute to the development of perfectionism,” which calls “for an increase in challenging curriculum that support for curriculum compacting, acceleration, enrichment, and teaching at a more conceptual level” (Neumeister, 2016). In writing about gifted children, authors Jim Delisle and Judy Galbraith offer a strategy that can help all perfectionists: instead of aiming for perfection and constant success, children (and adults) can shift thinking toward a “pursuit of excellence.” This might involve the celebration of trying new things (despite temporary failure), a deliberate choice between activities (rather than focusing on the absence of equal talent in everything), and the decision to focus on trying again, if desired (Delisle & Galbraith, 2002). If school hasn’t (yet) satisfied a student’s need for knowledge and exploration, consider enrichment opportunities, either online, locally, or at home. A wealth of parent ideas can be found through gifted parents’ blogs (such as those in Hoagies Blog Hops), and your area may offer classes and clubs in your student’s areas of passion. Local universities sometimes offer summer camps geared toward students with special interests and learning differences. For more information about STEAM-based, passion-based learning through NuMinds Enrichment (founders of this blog), check out their mission here. Adults may want to consider whether an overthinking child is actually overthinking. Some types of decisions require careful analysis and the anticipation of all likely (and less likely) outcomes. Is overthinking causing the child stress? Does it have a negative impact on his/her quality of life? Or is it leading to better, more carefully considered decisions? If a child feels happier with detailed analysis, in some situations, could that be a strength? (We certainly appreciate that architects and aerospace engineers anticipate ways things might fall down…) With the conflicts and deep differences in our world, more and more, we need problem-solvers able to consider a multitude of perspectives. For your student, could you seek out and provide guidance on selecting pursuits where his or her strengths are needed and valued? Please remember to take children seriously. When adults listen, children may be more receptive to learning which information might be helpful to consider in detail and which might require less attention. If a child is suffering, please seek expert help (beyond the scope of this post) – but in some cases, careful thinkers may need guidance, not repair. We may discover that our children and students can come up with innovations and solutions that work better than our own. This blog article is part of the Hoagies’ Gifted Education Page Blog Hop on Overthinking. Our blog is proud to participate in Hoagies’ Gifted Education Page Blog Hops! Please click on the graphic above (created by Pamela S Ryan–thanks!) to read other Hoagies’ Blog Hop posts! Cash, R. M. (2011). Advancing differentiation: thinking and learning for the 21st century. Minneapolis, MN: Free Spirit Publishing. Costa, A. L. and Kallick, B. (2008). Learning and leading with habits of mind: 16 essential characteristics for success. Alexandria, VA: Association for Supervision and Curriculum Development. Delisle, J. and Galbraith, J. (2002). When gifted kids don’t have all the answers. Minneapolis, MN: Free Spirit Publishing. Neumeister, K. S. (2016). Perfectionism in gifted students. In M. Neihart, S. I. Pfeiffer, and T. L. Cross (Eds. ), The social and emotional development of gifted children: what do we know? Second Edition. A Service Publication of the National Association for Gifted Children. Waco, TX: Prufrock Press. Johnson, R. (2017). The lunch bunch: affective curriculum for elementary gifted students. The Gifted Education Review, 4, 1-3. Peterson, J. S. (2016). Affective curriculum: proactively addressing the challenges of growing up. In K.R. Stephens and F. A. Karnes (Eds. ), Introduction to curriculum design in gifted education. Waco, TX: Prufrock Press. Schuler, P. (2002). Perfectionism in gifted children and adolescents. In M. Neihart, S. M. Reis, N. M. Robinson, and S. M. Moon (Eds. ), The social and emotional development of gifted children: what do we know? A Service Publication of the National Association for Gifted Children. Waco, TX: Prufrock Press. Stephens, K. R. and Karnes, F. A. (2016). Introduction to curriculum design in gifted education. Waco, TX: Prufrock Press. Roberts, J. L. and Inman, T. F. (2015). Strategies for differentiating instruction: best practices for the classroom. Waco, TX: Prufrock Press. ** I would like to thank Monica Simonds, M.Ed., for making me aware of the benefits of and instructional strategies for the Habits of Mind, for incorporating them in the GT curriculum, and for her work to nurture the social-emotional needs of students. I am a believer in public school. Growing up, I attended public school from K – 12. During law school, I explored the history of educational inequality in the United States, including segregation, desegregation, the risks of tracking, and inadequate school funding. I believe that each of us has a civic and moral responsibility to support and fund public schools, and that we must actively defend the right of every child to access a free public education. I believe in diversity in education, and in the critical importance of equal educational opportunity for all populations. As you can imagine, when I had children, I planned for them to attend public school. When my older son entered first grade, however, we faced a situation not uncommon for children identified by psychologists as gifted: without significant adjustments, the curriculum did not fit his development. For him to learn in school, we needed help from our district’s gifted specialists. While this may be the temporary reality in some cases, and especially in states without gifted education laws, I would argue that these statements are offensive: many parents of children “like him” cannot afford alternatives. As parents and educators, we must work to shift perspectives. The decision to pull advanced children from public school is common, particularly in areas with inadequately funded schools. Resigning ourselves to this practice, however, would reveal a terrible bias: if we fail to hold public schools responsible for meeting advanced learning needs, we assume that (a) children from low-income backgrounds cannot be advanced learners, or (b) advanced learners from low-income backgrounds somehow have less right to learn than students with average academic development. Experts know that intellectually advanced children are present in culturally, linguistically, and economically diverse populations. We need increased research to improve methods of identifying giftedness in underrepresented populations, but in the meantime, we can already identify children in families unable to afford alternatives to public school. If we permit public education to remain underfunded, and if we excuse schools from serving high-ability students, where does this leave gifted children from diverse backgrounds? For students with any learning difference, flexible strategies and continued monitoring are often needed. Luckily for my children, our state has gifted education laws, an advocacy organization for educators and parents, and state recommendations for serving gifted children in diverse populations. We are lucky to live in a district with dedicated gifted specialists and administrators who work hard to identify and meet gifted needs in all populations. Not all families are so fortunate. Unfortunately, some education advocates have criticized gifted programs as elitist, unfairly blaming the concept of gifted education for disparities in school quality. While any strategy can be misapplied or misused, research supports the need for gifted education: just as children with learning challenges require different interventions, depending on their difference from the norm, children with extreme, advanced differences need curriculum modifications. As much as we wish it were simpler, schoolwide approaches, in isolation, may not succeed with some learning differences. Students with extreme differences – including the ‘gifted’ – exist at all income levels. To succeed in our commitment to equity and the needs of all students, education advocates must find common ground. As educators, parents, researchers and lawmakers, we must advocate for improvement in public education as a whole, and we must increase efforts to better identify students with learning differences in diverse populations. At the same time, we have a duty to advocate for programs, professional development training, and interventions needed for students with all types of special needs and differences – including gifted needs. by Emily VR, written as a guest post for WeAreGifted2, the blog of Joy Lawson Davis, Ed.D. Many thanks to Dr. Davis for permission to repost. Dr. Davis currently serves on the NAGC Board of Directors and is the published author of several chapters and three books, including her most recent book, Gifted Children Around the World: Diverse Needs, Exemplary Practices and Directions for the Future. This post has been added to the Hoagies Gifted Education Page Blog Hop for March, 2017. The Fissure Blog is proud to participate in blog hops from Hoagies! For additional posts about Educational Options, please click on the below image (credit Pamela S. Ryan). Adam Grant’s book Originals: How Non-Conformists Move the World is a fascinating exploration of the often counter-intuitive principles and practices that drive the world-changers among us. It provides a rich trove of insights for those in business and industry seeking an innovative edge, as well as those in the arts and sciences looking for breakthroughs or pathways toward new paradigms. In all honesty, my first list was way too long for an infographic. Choosing these 5 concepts feels like a betrayal to the dozen or so I left out, but my hope is they’ll be surprising and impactful enough to prompt you to read it yourself! Words can do lasting damage. As we know from tragedies involving social media, bullying isn’t limited to black eyes or stolen lunch money. Thankfully, “sticks and stones” beliefs are finally disappearing as more adults recognize the harm caused by verbal aggression and social exclusion. In schools, educators work to reduce bullying through awareness, prevention efforts, district policies, and interventions. There is no universally accepted definition for bullying, but generally, it is said to include a real or perceived power imbalance, multiple incidents, and an intent to cause harm. Some experts debate whether bullying should also include “relational aggression” and two of its forms, “peer rejection” and “ostracism” (Zins et al., 2007); depending on the facts, these behaviors may or may not meet bullying policy definitions. Unfortunately, when anti-bullying programs focus on a narrow definition, adults may miss opportunities to both foster empathy and address harmful behavior – which can negatively affect the learning environment. What exactly is relational aggression, and how does it impact education? criticizing and belittling another (Coloroso, 2008; Dellasega, 2005). RA behaviors can involve efforts to gain or maintain social control (“queen bee” behavior), avoidance of admitting one’s mistakes, taking credit for others’ work, gossip, reputation damage, and/or negative treatment of an individual perceived as competition, threatening, or inferior (Coloroso, 2008; Dellasega, 2005; Oiker, 2011). Aggressors often exert efforts to look good to perceived superiors and give preferential treatment to beneficial relationships. Barbara Coloroso notes, “devious and manipulative, [the aggressor] can act as if she is a caring and compassionate person, but it is… a tool to get what she wants” (2008). An aggressor may single out only one or a few individuals. The intent and frequency of RA behaviors determine whether they qualify as bullying under an existing definition or policy. RA can deeply hurt children, and it often involves someone the child had perceived as a trusted friend. Attempts to confront the aggressor may be unsuccessful: as a ninth-grader explained to the author of Odd Girl Out, “‘she’ll turn it around,’ ‘she’ll make it about me,’ or ‘she’ll get everyone on her side’” (Simmons, 2002). Bystanders or “middle bees” may enable or facilitate RA by passing along rumors (Dellasega), or, out of fear or a desire to “fit in,” may fail to speak out against RA behavior (Coloroso). While it is thought that media exposure may play a causal role (Ostrov, 2013), children can engage in RA at surprisingly young ages: preschoolers have been observed attempting to exclude children from play (Reddy, 2014). Aggressors may suffer from insecurity, or they may observe and learn RA behaviors from other children and adults, including parents. As suggested by the title of one of Coloroso’s chapters, “it runs in the family,” parents may engage (sometimes unknowingly) in psychologically manipulative tactics with their children, may focus heavily on competition, or may model RA behavior toward other adults. Several sources discuss adult RA in the workplace, volunteer organizations, and other groups, including groups connected with schools. An article from the National Education Association notes that children who witness parents “practicing exclusion or manipulation of friends or family members will likely exhibit the same behavior in school” (Ross). RA in the school setting can cause the victim to dislike school (Zins et al, 2007), and it can also have an impact on academic performance and future educational options. According to the National Bullying Prevention Center, bullying can result in school avoidance, higher rates of absenteeism, decrease in grades, inability to concentrate, loss of interest in academic achievement, and an increase in dropout rates (PACER, 2015). While research continues on bullying and race, it is thought that bullied Black and Hispanic youth are more likely to suffer academic harm than their white peers (Stopbullying.gov). In some cases, bullying of students with disabilities or other specific differences (race, religion, ethnicity) can trigger the protections of federal civil rights laws. RA occurring outside school, such as in social groups and extracurricular activities, may also impact students in the classroom. The impact of RA on education is not limited to bullying between children: several sources discuss negative incidents involving some teachers’ treatment of students (Kam; Price, 2015), bullying between parents, treatment of teachers by colleagues or supervisors, and bullying of educators by parents. Who is most vulnerable to RA? Any child may become a victim, but children with special needs have been targeted by peer bullies more frequently than other children (PACER, 2015). Children identified with gifted needs are also at increased risk of psychological harm from bullying (Medaris, 2006), possibly due to academic and social/emotional differences in the gifted population (Price, 2015; Taibbi, 2012). Students perceived as different in other ways may be at additional risk. Differences can include religion, race, ethnicity, national origin, gender identity, and sexual orientation (SPLC; Stopbullying.gov). What can educators and parents do? Simply teaching students to “be kind” is often not enough: for students engaging in RA, the ability to engage in kind behavior is often not the issue. Aggressors can be very kind toward those who benefit them. The deterrent for both aggressors and bystanders involves empathy: students must learn to understand and relate to different perspectives, to feel the suffering of others, and to choose to prevent harm caused by aggressive behavior or inaction. Part two of this post will explore a few promising (and less promising) strategies for fostering empathy at school and at home. In the meantime, when considering bullying in schools, the first and most important steps in addressing RA may be (a) recognizing the threat RA poses to students’ well-being and learning, and (b) taking a fresh look at how we help our students and children to relate to the feelings and experiences of others. Because of the increased risks for gifted children, this post is included in the Hoagies’ Gifted Blog Hop on Gifted Social Issues. Contrary to myth, gifted students are not necessarily high achievers, and their needs and characteristics can be misunderstood by peers, parents, educators, and other professionals. 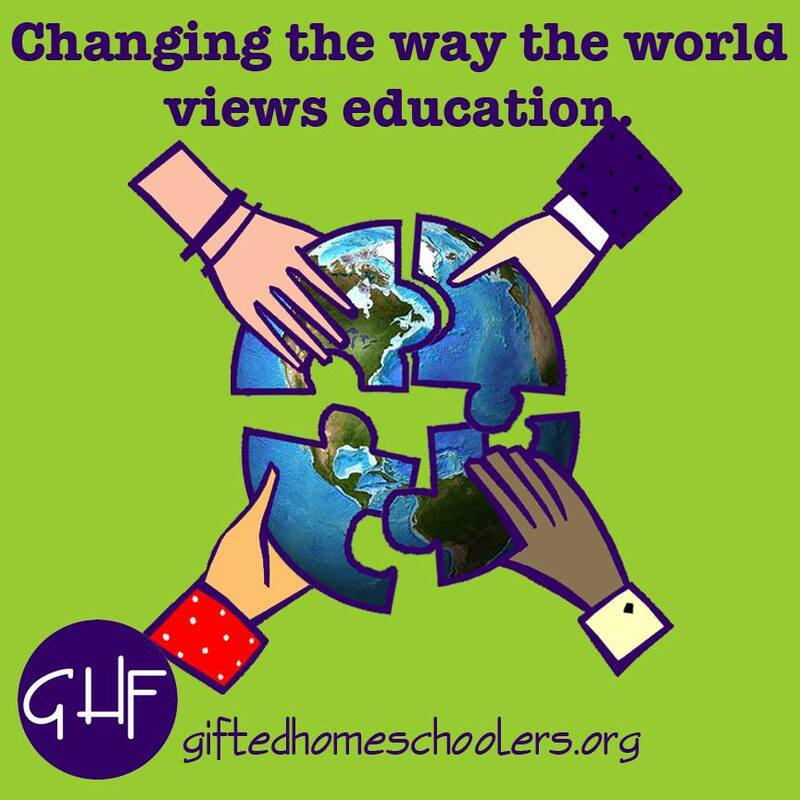 For additional resources on gifted children, please visit Hoagies Gifted Education Page. The Fissure Blog is proud to participate in blog hops from Hoagies! For additional posts, please click on the below image (credit Pamela S. Ryan). Coloroso, B. (2008). The Bully, the Bullied, and the Bystander: From Preschool to High School – How Parents and Teachers Can Help Break the Cycle of Violence. New York: HarperCollins. Dellasega, C. (2005). Mean Girls Grown Up: Adult Women Who Are Still Queen Bees, Middle Bees, and Afraid-to-Bees. Hoboken, New Jersey: John Wiley and Sons, Inc.
Peterson, J. S. (2016). Gifted children and Bullying. In M. Neihart, S. I. Pfeiffer, and T. L. Cross (Eds. ), The Social and Emotional Development of Gifted Children: What Do We Know? (pp. 131 – 144) (2nd ed.). Waco, TX: Prufrock Press. A service publication of the National Association for Gifted Children. Price, P. (2015). Gifted, Bullied, Resilient: A Brief Guide for Smart Families. Olympia, WA: Gifted Homeschoolers Press. Zins, J. E., Elias, Maurice, J., and Maher, C. A., Eds. (2007). Bullying, Victimization, and Peer Harassment: A Handbook of Prevention and Intervention. Binghamton, NY: Haworth Press. A BOOK REFLECTION BY BEN KOCH, M.Ed. NOTE: While doing research in graduate school, I became frustrated with how limited views of intelligence were narrowing the educational system and approaches to curriculum in general. Then, I came across the concept of Spiritual Intelligence (SQ) via the book SQ: Spiritual Intelligence – The Ultimate Intelligence. In this post I share my discoveries on SQ and invite you to reflect on this largely-undiscovered concept. Of all the gifts a teacher has the potential of offering a student, perhaps the most vital and significant is to empower the student with the ability to create a meaning and a vision for her life. Yet how do we as humans create meaning for our lives? This is a philosophical, even theological, question well beyond the scope of simple assertions. Yet if we narrow our scope to explore what teachers can do within the classroom to help students develop the capacity to create meaning, we can indeed gain a little ground. Brain-based learning expert Eric Jensen (2000) asserts that our brains are designed to seek out meaning, and that unless teachers are able to provide students with opportunities to discover meaning, “we will continue to produce robots and underachievers” (p. 279). Psychiatrist Viktor Frankl (1984) holds an even stronger belief that the “will to meaning” is the primary motivation of our existence. With the search for meaning being such a basic part of our makeup, it would seem that a teacher’s job in this regard would be relatively straightforward—we simply push along, or guide, our students in their natural, spontaneous quest for meaningful contexts. But what if the educational system itself is sabotaging this natural, healthy quest for meaning, and in fact depriving students of opportunities and contexts for the healthy development of meaningful lives? The very fact that standardized tests have become the guidepost around which all curriculum seems to revolve, and so much teacher energy is devoted, is a sad indication that this deprivation is occurring. Educational philosopher William Ayers (1993) believes that “standardized tests push well-intentioned teachers and school leaders in the wrong direction; they constrain teachers’ energies and minds, dictating a disastrously narrow range of activities and experiences” (p. 118). Many other roadblocks to meaning will be discussed in later sections. Unless we as teachers want to propagate our future with the robots that Jensen has warned us about, we must quickly and skillfully remedy, or at least counteract, the narrowing effects of the current educational system. Danah Zohar and Ian Marshall (2000) have given us a wonderful framework through which to do just that. They have developed the concept of “spiritual intelligence (SQ).” In their book, Spiritual Intelligence, The Ultimate Intelligence they outline the basis and technique for engendering the overarching intelligence in human consciousness that enables our capacity for meaning, vision, and value. Despite uncertainty about this very question, the current educational environment regards the nebulous idea of intelligence with a certain holy deference. “IQ” scores are used to determine student eligibility in Gifted and Talented programs, or to determine whether a struggling child belongs in a “Special Education” program. Across the country, state-developed standardized tests are used to gauge student achievement and even rank schools into categories. However, research is increasingly demonstrating that our traditional definition of intelligence is an extremely narrow view and does not acknowledge a vast spectrum of human abilities and insights. Zohar and Marshall (2000) posit that there are three kinds of intelligence we can recognize based on observation of neural organization and processes, as well as human behavior. The first is a linear, serial intelligence that one might associate with logic. We can consider this rule-bound thinking. Neural tracts in the brain are hard-wired to follow specific rules in accordance with formal logic. These are the neural tracts we access to perform highly logical tasks, such as learning the times tables, or grammatically diagramming a sentence. This is the kind of thinking that is measured on traditional IQ tests as developed by Alfred Binet and Theodore Simon in 1905 (Wigglesworth, 2002). No one would argue against the usefulness of this kind of intelligence, but unfortunately, argue Zohar and Marshall, this kind of intelligence does not provide us with our sense of meaning. It simply processes information but cannot make any qualitative assessment of it. After all, computers can have a high “IQ” in the context of this type of thinking, but we would never ask a computer to make a qualitative decision for us, such as what shirt we should wear to work, or even who we should marry. But another piece of the puzzle is filled in by a second type of intelligence based on a different type of neural wiring we all possess. Neural networks, as opposed to linear neural tracts, are associative in nature, and provide us with our “associative, habit-bound, pattern-recognizing, emotive thinking” (Zohar & Marshall, 2000). This associative thinking allows us to literally associate objects in our environment, and thus make connections. In its simplest sense, this represents conditioned response, and the most classical example would be the scenario of Pavlov’s salivating dogs. However, the important difference between associative thinking and IQ is that associative neural networks are not hardwired, rule-bound tracts; rather, they “have the ability to rewire themselves in dialogue with experience” (p. 52). Because this is the type of thinking that allows us to make links between our emotions and our feelings, events, people, etc, it is often referred to as “emotional intelligence” (EQ). In fact it is this type of neurological processing Daniel Goleman popularized with the phrase “emotional intelligence” in 1995 (Wigglesworth, 2002). Jensen (2000) also puts great emphasis on the importance of emotions in learning. Because emotions trigger the release of crucial neurotransmitters which signal to the brain the importance of what is being learned, there is no way to separate emotions from other cognitive processes. So IQ and EQ form a sort of neurological tag-team in our learning process. This is not a unique claim of Zohar and Marshall; it is simply a summary of current consensus. What Zohar and Marshall’s unique contribution is that these two alone are not enough to explain the human capacity for creating value and meaning from experience. There is a third, most crucial intelligence which transcends these first two, and this third intelligence, though it does seem to possess transcendent qualities, does indeed have a neurological basis. Both IQ and EQ represent kinds of thinking that can be replicated by computers—serial and associative. Yet as humans we possess a certain awareness, and even an awareness of that awareness, that we know intuitively no machine or computer is capable of. This third dimension of intelligence is what allows us to think creatively, to make rules, and, of course, to break rules. A computer must simply follow its rule-bound and associative programs when given a command. A human being, on the other hand, has the ability to question the command, or even refuse to do it! This is a direct reflection of this third, unitive intelligence. Zohar and Marshall (2000) take an extensive look at the most recent neurological research and find striking support for a neurological basis of this unitive intelligence. Because the purpose of this post is more practical, and aims to support teachers in applying these concepts to benefit students, this post will only briefly summarize the supporting research. Zohar and Marshall (2000) describe how recent research has shown there are oscillations of varying frequencies that occur in the brain. You might almost think of them as “waves” or frequencies that vibrate throughout different parts of the brain. Scientists have been able to associate these oscillations of different frequencies with specific levels of mental activity and alertness. In essence, these oscillations seem to be another way for the brain to communicate with itself. For example, upon perceiving a specific object, different areas of the brain might oscillate simultaneously. Of particular significance, however, are neural oscillations at the frequency of 40 Hz. These 40 Hz oscillations occur throughout the whole cortex, occur whether one is awake or sleeping, and seem to “transcend the ability of any single neuron or localized group of neurons” (p. 74) in that they integrate processing across the whole brain. In other words, these 40 Hz oscillations are such a crucial, indispensable piece of the puzzle because they seem to allow the brain to “see itself” in a wider context than a single neural tract or neural network. This neurological process translates into allowing us to reframe our knowledge and experience in a wider context of meaning. For this reason, these holistic oscillations are what Zohar and Marshall cite as the neurological basis for SQ. The discoveries of the role of these 40 Hz brain oscillations in unifying consciousness obviously open the floodgates for a whole new wave of questions. What is consciousness? What is mind, and where does it come from? Zohar and Marshall do passionately delve into these questions, and in the end rest in a position that recognizes a self-transcendent quality of consciousness: “We conscious human beings have our roots at the origin of the universe itself. Our spiritual intelligence grounds us in the wider cosmos, and life has purpose and meaning within the larger context of cosmic evolutionary processes” (p. 88). The significance in finding this innate human physiological basis for SQ is that we can acknowledge it as the birthright of all human beings, and not simply the special aptitude of a few “blessed” individuals. Whether consciously or not, we are all creating meaning, and we all have the potential to increase our capacity for value and meaningfulness by developing this innate intelligence. Obviously, this view makes spiritual intelligence absolutely crucial in the quest for creating meaning and purpose. In fact, this third, unitive kind of intelligence that allows one to create a meaningful context seems to be exactly what Adlerian psychologists Mosak and Dreikurs (2000) are referring to when they say: “If social embeddedness is the key to a person’s feeling at home on Earth, then cosmic embeddedness is its counterpart in the existential realm” (p. 263). So it seems no coincidence that SQ is directly linked to Adler’s foundational principle of “social interest.” Like social interest, SQ is the pathway by which one creates meaning and moves toward a state of self-realization. One useful and crucial quality of the concept of SQ is that is doesn’t, in fact, rely on any particular religious platform. It is simply an acknowledgment that human beings create meaning and value through a holistic, unitive form of intelligence. For some, this may indeed find its resonance in a traditional religious tradition. However, Zohar and Marshall emphasize the fact that even an atheist can have very high spiritual intelligence, and an extremely devout religious fundamentalist can have very low spiritual intelligence. Which leads us to the next important question: What does spiritual intelligence look like? WHAT ARE THE QUALITIES OF SPIRITUAL INTELLIGENCE? Though it may be difficult to articulate, teachers have an intuitive understanding of SQ as the ultimate form of intelligence. At least, we all understand that IQ and EQ alone are not enough to explain a student’s state of “intelligence” or well-being, or value. For example, we’ve all met students who are recognized as highly “gifted” (high IQ), but have no social skills and act out with self-destructive behavior. This scenario alone, repeated year after year in schools across the country (and world) is proof that IQ is not a valid measure of the potential for a successful, meaningful life. Such a student obviously has a gap in which EQ is not developed, but the self-destructive behavior suggests a more crucial gap. There are many other scenarios in which the variables change, such as the highly charismatic, socially fluent student (high EQ) who is failing math. These all prove the same thing—namely that teachers need to recognize a third, more crucial variable of intelligence—SQ. What, however, are the qualities of a person with highly developed SQ? She is led by vision and values. She has a capacity to face and use adversity. She sees the world holistically. She thrives in and celebrates diversity. She possesses courage, or field independence. She has the ability to re-frame things into a larger context of meaning. She possesses a spontaneity that allows her to be responsive to the world. It is clear from this list that these are natural human qualities independent of any religious or particular spiritual doctrine, and yet at the same time they are qualities we might easily identify in those people we consider to be highly spiritual, of whatever religion. It is also easy to see how each of these qualities, without exception, would assist a student in creating a meaningful context in which to develop. This makes spiritual intelligence a particularly useful and effective way to discuss the higher order development of students without treading into dangerous discussions of religion. WHAT ARE THE ROADBLOCKS TO SPIRITUAL INTELLIGENCE? The sole purpose of developing SQ in teachers and students is for them to lead healthy, whole, and connected lives. There is no need here to discuss the abounding evidence that young people today are, for the most part, not leading this sort of life. One could examine statistics on dropout rates, gang and other school violence, drug use and so on and quickly eliminate “healthy,” “whole,” and “connected” from their descriptions of many students. Spiritual sickness, Zohar and Marshall (2000) argue, occurs when we are cutoff from the nurturing spiritually intelligent centers of ourselves through “fragmentation, one-sidedness, pain or distraction”. As an entire culture we are sick, they argue, due to an “alienation from meaning, value, purpose and vision, alienation from the roots of and reasons for our humanity” (p. 170-1). Frankl (1984) blames the “existential vacuum”—a feeling of emptiness and meaninglessness—as a root cause of depression, aggression, and addiction. Though Frankl didn’t say it as such, this void certainly equates to the same alienation from SQ that Zohar and Marshall describe. To frame it another way, we might say that spiritual sickness occurs in students when their “will to meaning” is obscured and they begin to shut down their connections with the world and beings around them, one by one. In this state of hopelessness students might react in one of two equally unproductive ways. First, they may emotionally withdraw in order to isolate themselves in an attempt to reduce their pain. Second, they might attempt to overcome their hopelessness through control and intimidation of others and their environment (Beaves & Kaslow, 1981). By helping students develop the “tools” of SQ, teachers can prevent both of these extreme reactions to students’ struggle for meaning. HOW CAN TEACHERS ENGENDER SPIRITUAL INTELLIGENCE IN STUDENTS? Though SQ is a quality that has been present in humanity for millennia, it is a relatively new conceptualization that has not yet achieved wide acceptance. Since it is such a young concept, still in its establishment and validation stage, its direct application into specific fields is very undeveloped. Even Zohar and Marshall make minimal references to how SQ might be applied in the field of Education, even while acknowledging the natural SQ qualities that manifest in children, who in many ways are more in touch with their spiritually intelligent centers than adults who have had many more years and opportunities to become fragmented and disillusioned. So the role of this post, to a modest, minimal degree, is to take those first steps at integrating the concept of SQ into the hearts and worlds of teachers in the hopes that wider knowledge and development of the concept will soon create a more fertile ground for these ideas to be tested and discussed further. Here are eight ways I believe teachers can directly and indirectly engender SQ in their classrooms, thus laying before students tools with which they can create meaningful lives. Within the description of each I have included which of the nine qualities of SQ described by Wigglesworth I believe it encompasses. By whatever means is most appropriate to their own lives, teachers should continue to evolve and develop their own connections to their spiritually intelligent center. Cynthia Wigglesworth defines SQ in a way that I think is extremely appropriate for teachers: “the ability to behave with Compassion and Wisdom while maintaining inner and outer peace (equanimity) regardless of the circumstances” (Wigglesworth, 2002-2004). Modeling these qualities as a teacher creates the framework through which students can begin to conceptualize their own spiritually intelligent selves. Curriculum and teachers today are enmeshed in a world of standardized testing in which measurable results drive all else. Because this situation is not naturally friendly to the development of SQ, teachers must engage in what William Ayers (1993) has called “creative insubordination”. He tells the story of how he once stood on a chair to unscrew and disconnect his classroom loudspeaker after his students’ learning time and space had been interrupted several times in a single morning. These harmless acts don’t hinder student learning, which is what makes them justifiable, according to Ayers. In the context of SQ teachers may need to occasionally close their curriculum books and open their hearts. They will need to take risks in their lessons and their classrooms that stimulate the very centers of students, rather than simply rustle them out of their naps long enough to answer a few multiple choice questions. When we as spiritually intelligent teachers are led by a vision of social interest, in which our purpose is truly to benefit students and not simply further our careers, then the wide, inclusive framework within which we create our classrooms and encounter students will empower us to take skillful actions that benefit students, regardless of whether or not they harmonize with robotic bureaucracy. Most teachers are quite familiar with Bloom’s taxonomy, especially in relation to levels of questioning. The taxonomy has six tiers: Knowledge, Comprehension, Application, Analysis, Synthesis and Evaluation. The higher the tier you work from as a teacher the more higher-order thinking you are requiring from students. The Knowledge and Comprehension tiers, for instance, require little more than recall of facts and basic ideas. These are certainly important building blocks for developing knowledge and thinking skills, but in the context of SQ these are skills deeply embedded within linear thinking (IQ) and will not help a student build value and meaning. Based on my analysis of the taxonomy, I propose that only when teachers can consistently question and hold discussions from the top two tiers are we developing and honing SQ. In Synthesis it is said the student “Brings together parts (elements, compounds) of knowledge to form a whole and build relationships for new situations” (Lujan, 2003). Only in Synthesis does the student begin to reframe knowledge and experience into a larger context—a hallmark of SQ. And yet we can extend student thinking (intelligence) even further with Evaluation, in which the student “Makes informed judgments about the value of ideas or materials. Uses standards and criteria to support opinions and views” (Lujan, 2003). In Evaluation students finally arrive at the stage of assigning value to knowledge and experience—an ability which I’ve argued in this post is possible not through the limited neurological systems of IQ and EQ, but only through the transcendent capacity of SQ. Again it is no coincidence that this ability, highly linked with SQ, is at the top of Bloom’s taxonomy. Yet how often as teachers and schools are we evaluating students from the lower tiers of development? In our rush and frenzy to prepare students to pass standardized tests, which only rarely enter the higher tiers of the taxonomy, how many opportunities to develop SQ are we losing? Creating mindmaps is a tested technique for drawing connections between words, ideas, concepts and entire worlds. The connections that mindmaps uncover help develop a sense of the natural interdependence of objects and ideas. One of the first and most widely known proponents of mindmapping, Tony Buzan (1993), says that mindmaps develop the mind’s “radiant thinking” capabilities, which empower the individual to see connections and make decisions beyond the normally limited state and become a “mentally literate human.” A mentally literate human, he says, is “capable of turning on the radiant synergetic thinking engines, and creating conceptual frameworks and new paradigms of possibility” (p.287). One skill of a spiritually intelligent person is that she is able to reframe concepts into larger contexts and therefore create “new paradigms.” So it seems the use of mindmaps would be a naturally effective way of engendering this aspect of a student’s SQ. The phrase “deep diversity” is simply my own way of suggesting that we need to go beyond tokenism in the classroom and give students the chance to encounter diversity on a deeper level. As teachers we don’t always have control over the students that end up on our roster, but we do control many of the interactions our students will have throughout the year. A teacher might create opportunities for his students to interact with classrooms of students of a different age, race, ability, ethnicity, or even language. A teacher whose class is predominantly white, for example, might create meaningful encounters for them with ESL, Bilingual, or Special Ed students on the same campus. These encounters should personally engage students and not be mere superficial presentations of holidays and customs (which are great in some contexts). I believe that appreciating diversity in the context of SQ means seeing oneself in the “other”, regardless of how far removed they seem from one’s cultural context. Teachers have a wonderful opportunity to develop this aspect of students’ SQ by giving them meaningful encounters with diversity. Teachers should openly model and discuss their own goal-setting strategies and the visions that propel them. When students see examples of how intention can bring about fruition, they may begin to develop faith in the goal-setting process. Also, journal exercises and discussions which force students to confront their own beliefs and articulate them (at whatever level they are capable) will lead students toward to a deeper understanding of their own value. In an ideal scenario, the teacher could help students create an evolving “mission statement” that reflects their own vision and values. The teacher could possibly hold the students accountable to their statement as a sort of “vision contract.” A vision that is grounded in SQ will help a student transcend the vicissitudes of life’s daily struggles and develop a capacity for resilience. Students should have a venue to explore themselves at all three levels of intelligence—intellectual, emotional, and spiritual—that is non-judgmental and supportive. Journals are the perfect outlet for this type of reflective exploration if they are understood to be confidential AND the teacher is able to provide regular constructive feedback. It is up to the skillfulness of the teacher to guide students’ journaling towards a deeper self-awareness. Students arrive with a variety of life experiences. At a young age some have already encountered great adversity that has tested their spiritual fabric and courage. In these cases teachers should have the courage to recognize and help the student use that adversity to grow their SQ and develop their own courage. In other cases, students have had relatively sheltered lives and little opportunity to encounter and learn from adversity. Yet we know that as human beings they certainly will encounter adversity. In both cases students need good models and frameworks through which to encounter and learn from adversity. Whenever possible the teacher himself should model this SQ skill. He should be open to discussing how he overcame and learned from difficult situations in his own life. He should be able to discuss times in his own life when he had courage, and times when he didn’t. This modeling can be broadened by studying the lives of those we might recognize as very spiritually intelligent. There are some obvious example, such as Martin Luther King, Jr. and Mahatma Ghandi, but it would be easy to find examples that might relate to particular students or groups of students. How about Helen Keller for students with some form of disability? How about Jim Abbot, the pro baseball pitcher with one arm, for students with a connection to athletics? This list would be easy to extend, but it would be most appropriate for the teacher to use his own understanding of his students to provide them with good models of courage in the face of adversity. A key facet of creating hope is to “develop or rediscover beliefs in values beyond one’s own being and one’s family, a relatedness to the larger universe and a feeling of harmony with (at least part of) it” (Beavers and Kaslow, 1981, p. 122). Engendering SQ will indeed give students a vision beyond their own being and develop their sense of connectedness with the universe. In this sense, SQ is an incomparable guide to hope. In fact, as Zohar and Marshall suggest, we are neurologically developed to experience the world in a way that transcends our limited selves, which reinforces that as teachers we are simply guiding students to the state of meaning, value, and harmony that is a student’s birthright. Numerous obstacles stand before the teacher whose heart is in the highest interest of his students. Some of these are externally relevant—standardized testing requirements, curriculum restrictions, financial limitations. Yet many other of these obstacles are the result of his own internal limitations. Frankly, we teachers, as much as the students themselves, become alienated and fragmented in the storm of what’s expected of us in our occupation. Perhaps the problem is, as Dreikurs suggests, that we lack the “courage to be imperfect.” In fact it is two qualities of SQ—courage and spontaneity—that Dreikurs suggest we most need as teachers in order to transcend our own self-interest and instead skillfully encounter the needs of the situation. Only then, he argues, can we achieve a state of “inner freedom” and in turn impart a healthy philosophy of life to our students. This resonates strongly with the concept SQ. In short, it suggests that only spiritually intelligent teachers can produce spiritually intelligent students. In the generous and invigorating spirit of social interest, we must become worthy as vehicles of temporary transference onto which students can project their hopes and gradually develop their own SQ. By temporarily “borrowing hope” from teachers in a way that Beavers and Kaslow describe (1981) for therapeutic situations, students can “develop or recapture a sense of basic trust and its corollary, an optimistic belief that life has value and meaning” (p. 121). If developing SQ were simple, campuses and classrooms would be happier, healthier places in which the values of harmony, vision, and values thrived. Yet these kinds of classrooms are rare. Spiritually intelligent schools require spiritually intelligent teachers, and these certainly constitute a minority. A teacher might become hopeless or discouraged about ever transforming so many minds in a sea of spiritual sickness. Yet that would deepen the very existential vacuum we are trying to fill, or overcome. Instead, we can, as Frankl (1984) proposes, accept the “challenge to join the minority. For the world is in a bad state, but everything will become still worse unless everyone does his best” (p. 179). Armed with an awareness of our own innate capacity to develop the spontaneous and healing qualities of SQ, we should enter classrooms and schools with the boundless, selfless courage of a warrior, emboldened by the vigor of a cosmic social interest. Beavers, W. R. & Kaslow, F. W (1981). The anatomy of hope. Journal of Marital and Family Therapy, April, 119-126. Buzan, T. & Buzan, B. (1993). The mind map book: How to use radiant thinking to maximize you brain’s untapped potential. London: Plume. Dreikurs, R.. The teacher’s struggle with herself. Psychology in the classroom. Frankl, V. E. (1984). Man’s search for meaning. New York: Pocket Books. Jensen, E. (2000). Brain-based learning. San Diego: The Brain Store. Lujan, M L. (2003). Critical thinking reference: TEKS checklist, 4th grade.Teacher Resources, L.P.
Mosak, H. H. & Dreikurs, R. (2000). Spirituality: The fifth life task. The Journal of Individual Psychology, 56(3), 257-265. Wigglesworth, C. (2002). Spiritual intelligence and leadership. http://www.conscioiuspursuits.com. Conscious Pursuits, Inc.
Wigglesworth, C. (2004). Spiritual intelligence and why it matters. http://www.conscioiuspursuits.com. Conscious Pursuits, Inc.
Zohar, D. & Marshall, I. (2000). Spiritual Intelligence: The ultimate intelligence. New York: Bloomsbury. We are proud this post is part of the June 2016 Blog Hop on Hoagies’ Gifted Education Page! Blog Hop graphic by Pamela S Ryan – click above for more Blog Hop posts. A Short Story by Justin Vawter, M.Ed. The rise of Functional Magnetic Resonance Imaging (fMRI)—and its ability to see our brain’s activity in real time—holds unlimited potential for scientists and researchers. Martin Lindstrom, in his book Buyology, even discusses the current research and implications of neural imaging in market research. For example, do choosy moms really choose Jif peanut butter, and if so, what subconscious processes are driving their purchasing decisions? As an educational researcher, I love daydreaming about using fMRI to better understand how humans think, learn, and build new knowledge. Imagine if Piaget had access to one of these machines! What happens on a subconscious level as students are engaged? Is blood flow increased to various areas of the brain, which allows for heightened neuro-receptivity? Why do some kids “get” the material while others are left dumbfounded? However, the prefix “sub” means below/hidden/beneath, and many of us would prefer for our subconscious to remain right where it is—hidden and beneath the visible surface. I admit, I learned a lot in my junior high history class, but that was because I had a huge crush on my teacher. If she could have run a real-time fMRI brain scan on me…well, either she’d be really flattered or I’d be expelled. Either way, let’s leave that pubescent fascination out of my report card, thank you. This example highlights just one example of why we may or may not want to go poking around in the subconscious. As advocates of neural imaging increase, the opponents of so-called “brain probing” gather together to voice their concerns—and no, the majority do not consist of junior high boys. The argument goes like this: if we know what makes the subconscious work, what keeps us from manipulating reality to control the subconscious? It’s a slippery slope, but a valid ethical conundrum. It should be noted that valid ethical conundrums typically accompany major scientific discoveries and anomaly shifts. This is an incredible topic, and it’s fun to look at both sides of the implication coin. However, I am neither smart enough nor well-versed enough to provide a definitive answer about the use (or misuse) or fMRI. Instead, I prefer to keep my contributions to daydreams and silent reveries. As my contribution to this discussion, I offer the following narrative piece as a simple “what if.” What would school be like if students were required to wear actual “Thinking Caps®”—a network of lighted diodes that visibly register their brain’s activity? No more daydreaming, but instead, complete and regulated engagement. It’s 11 minutes after the bell as Yuri slides through the door and into his seat. Teach looks, but just jots it down and moves on. Yuri is closed to being finished—everyone knows it. He unloads his bag and puts his school items in place: bun-board, isoscope, wax frog figurine—the usual. Yuri places the Thinking Cap® on his head and presses his table’s on switch. After the initial wince as the cap fires to life, he’s ready. Sucking in a deep breath of air, Yuri expels a low, droll tone between puffed cheeks, and slowly deflates into his seat. The diodes on Yuri’s cap fade in the front, flicker, and with decaying pulses, shift into a dull, throbbing light at the base of his skull. Just two minutes and already he isn’t paying attention. Now, we all knew, you didn’t bother Yuri for those first few minutes. You didn’t ask where he was or why he was late. But Yuri was close to being finished, and Teach wouldn’t miss an opportunity like this. We murmur “Yes, ma’am,” and the oranges and blues are gone, replaced by green lights of the Thinking Caps®. Teach glances around at the engaged learners, satisfied. She continues to close in on Yuri. I focus forward, desperately putting my full attention to the lesson splayed on my bun-board. I can see the green reflection in the screen, letting me know that my mind is in the right place. But what’s going on? What’s going to happen? Teach is still moving. I turn to look back at Yuri and jump in my seat—there’s Teach less than three feet away and moving my direction. I must have flicked a frightened yellow, because she places a firm, but calm hand on my desk before moving past. Her smell. The smell of dust, decay, and cold, dead smoke strike me, and I’m sure my helmet is an array of colors. It doesn’t matter though; she’s passed, and is now close enough to Yuri’s desk not to mind a flicker amidst the fading greens around the room. I turn to look back, and there’s Yuri—the front of his Thinking Cap® still a faint maroon, while the back of his head beams whites and purples. His colors are so bright they splay the back wall of the room like a floating orb. Rarely does a Thinking Cap® glow as bright as Yuri’s; too bad it was always on the wrong side. “Yuri!” A yellow band of light beams from his head, jumping in scattered directions. Greens grapple with white: a sensory overload. “Pay attention!” All of Yuri’s lights dance yellow, then blue, and then…instead of settling on green where they should, they suddenly go out. Black. Pissed-off black, we call it. Teach notices, and the color purple carpets the white walls of the entire classroom; no one is engaged in the lesson—we’re all thinking of the possibilities. Teach freezes—processing the boy before him. Yuri stuffs his backpack and walks out of the room. He would leave school, and we wouldn’t see him until the following day. There would be no after-hours playtime for Yuri. No socialtime. No development trainings. Yuri is done for the day, and would return tomorrow for much of the same, until he either learns to stay engaged on the lesson instead of his dreams, or gives up entirely.